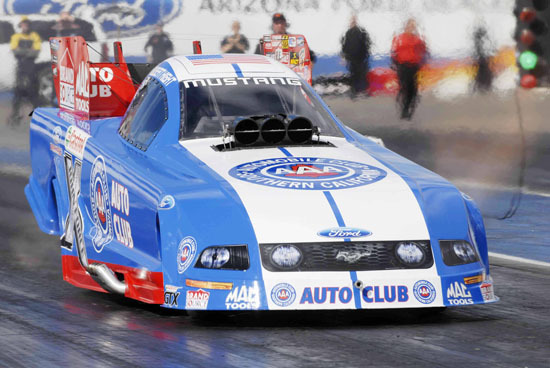 For USA Nitro Funny Car legend Jack Wyatt it is all about relaxation when it comes to preparing to blast down the quarter mile at over 400 kilometers per hour. Wyatt prepares for his runs by literally falling asleep in his car, and while that may seem unusual to the spectator, he swears by the ritual. 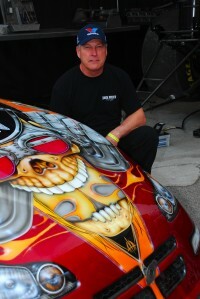 “When I get in my car it is how I focus, I get in the zone and fall asleep in the staging lanes,” said Wyatt. Wyatt will be heading to Australia for the USA vs AUS Nitro Funny Car Challenge at Willowbank Raceway, to be held over two rounds January 2 and January 16, 2010 and he will be bringing fellow veteran Gary Densham – who reset the records when he travelled here for the same event earlier this year with him. Densham will act as guest crew chief and also tour guide for the Wyatt outfit in January. “We are so glad to have Gary to come with us to Australia and guide us through,” said Wyatt.